If you only have 24 hours in Amman then it is important to cover some of the important historical landmarks such as the Amman Citadel and King Abdullah Mosque. As the capital city of Jordan, Amman is a fantastic starting point for any Jordanian adventure. It is brimming with archaeological sites, restaurants, colorful markets, and luxury hotels. 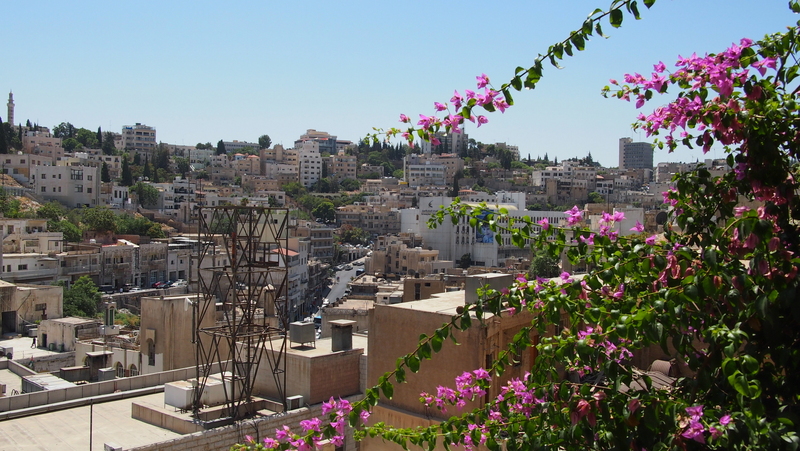 Amman is also a good base for those looking to travel further afield across Jordan’s diverse landscape. The city is served by Queen Alia International airport which is the main airport in Jordan. Get up nice and early and head straight out for breakfast. 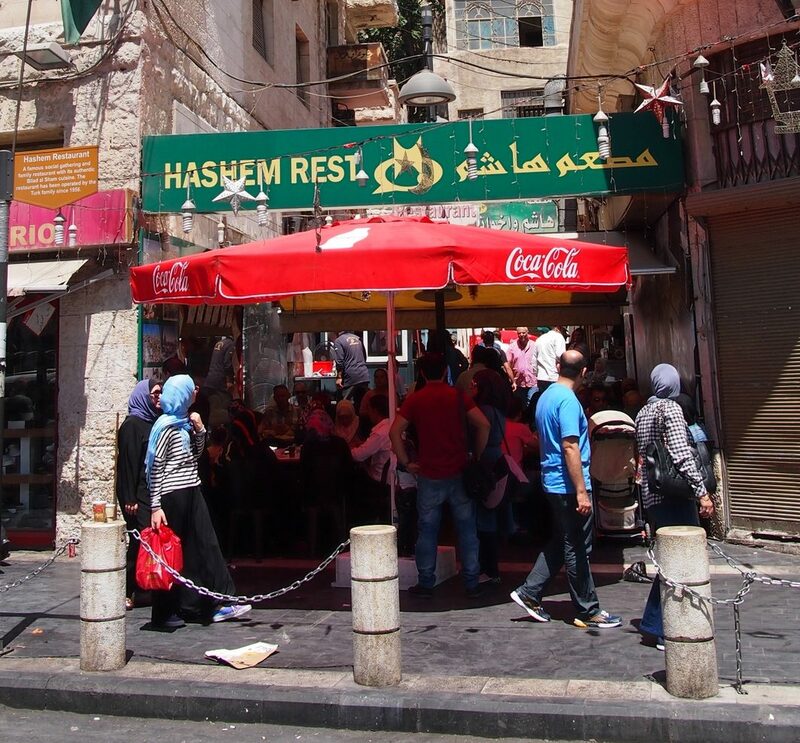 A good place to find a traditional Jordanian breakfast in Amman is Shariah Street where there are plenty of coffee shops and cafes. After breakfast head straight to the Amman Citadel to avoid long queues. This historic site includes a 1700 meter wall that dates back to the Bronze Age, the iconic Temple of Hercules, and the Umayyad Palace. With so many significant landmarks located on one site, the citadel is arguably one of the best places to visit in Amman. 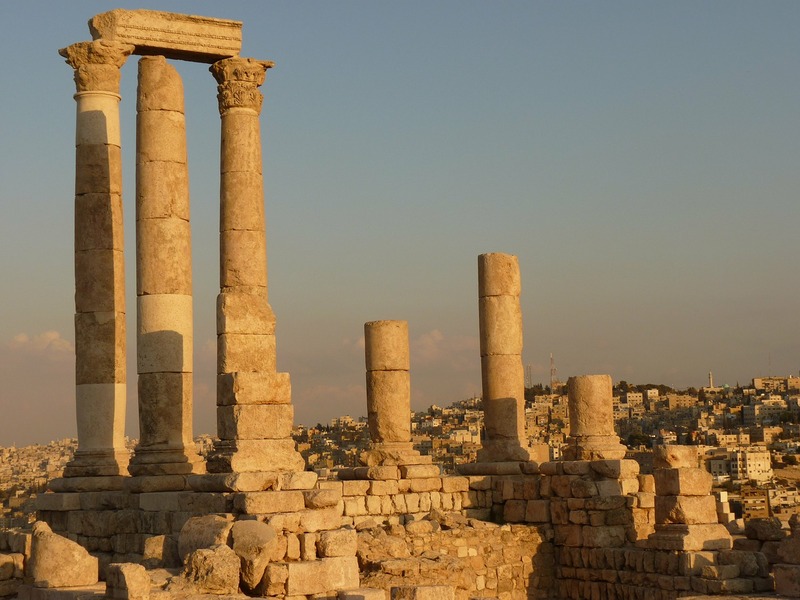 The Amman Citadel is located on top of Jebel Al Qala’a, a hill in the city of Amman. The hill is situated 850 meters above sea level and overlooks the old city. It is located in the downtown area of Amman. Entrance to the Amman Citadel is 2JD (2.82 USD) or free with the Jordan Pass. It is open from 8 am until 7 pm on Saturdays to Thursdays between April and September and until 4 pm between October and March. The Citadel is only open from 10 am until 4 pm on Fridays. Visitors can walk up to the Citadel but should be aware that there are a lot of steps. Alternatively, a taxi ride up to the Citadel will cost around 1 JD (1.41 USD). Walking around the Amman Citadel will usually take a few hours and then it will be time to find some lunch. Books@Cafe is a trendy café on Rainbow Street that enables visitors to read, relax, and tuck into delicious local delicacies – the perfect spot to visit during your 24 hours in Amman. It is a bookshop and café all in one and boasts a brilliant menu of local and international favorites. The café serves breakfast, lunch, and dinner. A popular Jordanian favorite is Mansaf which is a tasty lamb and yogurt dish. Along with Middle Eastern dishes, there are also a large number of Italian dishes on the menu including Spaghetti Bolognese and a range of pizzas. After lunch take a trip to the Jordan Museum which is the largest museum in the country. The museum is located in the downtown area of Amman and is home to a large collection of art and antiques dating back to the Nabataean period. Entrance into the museum is 5JD (7.05 USD) and it is open from 10 am until 2 pm from Wednesday to Monday. On the vibrant Rainbow Street head to Jara Souk which is just around the corner. This colorful market is only open on Fridays during summer. If you are lucky enough to be in Amman when the souk is open, it is the best place to find unique homemade souvenirs. There are antiques, locally crafted gifts, and plenty of Jordanian sweet treats. If you are not in Amman during the summer months, then explore the gift shops that are dotted around the city, and look out for the popular sweet kanafeh which is a traditional Jordanian pastry. If you still have enough time to spare then the King Abdullah Mosque is a beautiful building that was constructed in 1989. Non-Muslim visitors are welcome to enter the mosque to admire its stunning interior which matches it regal exterior. It is 2 JD (2.82 USD) to enter and is open from Saturday until Thursday between 8 am and 11 am, and 12.30pm and 2 pm. The best way to unwind after a day of sightseeing is to relax the Jordanian way and visit one of the city’s many Turkish Baths. The Turkish Baths in Amman are usually open until late in the evening and are comprised of a steam bath followed by a massage and a scrub. They offer complete indulgence and are a great way to finish off your pit stop in Amman. For dinner, Amman is brimming with excellent restaurants. A popular dining destination is Fakhr el-Din which specializes in fine Levantine cuisine. The restaurant is set within a beautiful historic building and there are over one hundred food items to choose from. In summer, guests can dine in the charming garden for lunch or dinner. The restaurant uses locally sourced ingredients and is highly regarded in Amman. Those who really want to make the most of their 24 hours in Amman should join the locals at one of the city’s popular bars and get a taste of the nightlife of Aman. Rainbow Street is a favorite with locals and tourists alike who are drawn to the hip bars and cafes along this vibrant street. Happy hour is usually between 6 pm and 8 pm.